Something Else was a youth (or yoof as it became known) show that ran on BBC 2 from 1978 to 1982. 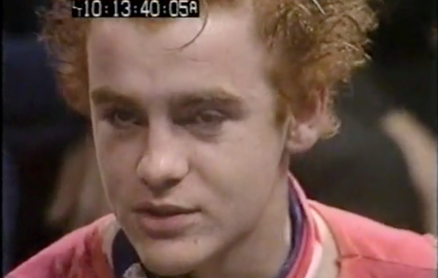 It was one of a fairly large amount of music programmes that was around during this period, picking up on the disruption that punk had caused and broadcasters responded to this ‘new’ youth demographic with these programmes. Hosted by yoof itself, (what on earth is the spoken word interjection about??) it gave a voice to regional accents, untrained presenters, wide ranging discussions and great, great music. I’ve wanted to post this up for a while now as it features a whole bunch of Brummie punks as well as Lynval from The Specials and Martin Degville, at the time a hugely important fashion designer and later of Sigue Sigue Sputnik fame, with his close friend Boy George who was living in Walsall and Birmingham at the time. There is footage of Birmingham punks outside the Crown on Hill St (can you spot yourself?) and then this great discussion.